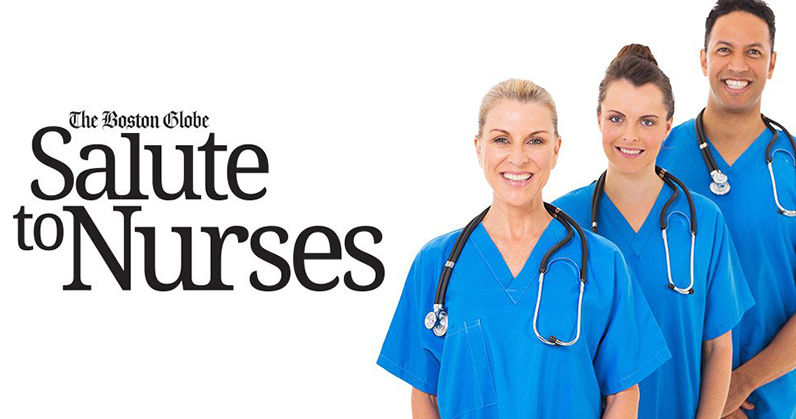 The nursing staff at Nantucket Cottage Hospital is truly exceptional. In caring for my elderly father these past few years, they displayed compassion, respect, and competence. The nurses made sure my father was comfortable and kept me informed of his status and plan of care. As a nurse myself, I also am part of the nursing faculty at UMass Lowell, so I truly appreciate exceptional nursing that cares for the body and soul. Although I had been with my father for many days before he died this winter, I missed his death by one hour. It was a nurse who was with him when he died, who said prayers, and who told me it was the most comfortable death she had seen. All the nurses helped me cope, ,and I will be forever indebted to them. This nursing staff is truly a perfect vision of nursing practice. Thanks to everyone who attended our event at The Chicken Box on Saturday, March 26th, and helped us take another step toward realizing our new hospital! We also want to recognize Rocky Fox and everyone at The Box for hosting us, as well as our emcee Brian Glowacki, Sophie T’s for providing delicious food, and those who donated some great auction and raffle items. Thank you to everyone who attended today’s Be Well Children’s Health Fair + Nantucket Native Reunion at the Great Harbor Yacht Club! And a special note of appreciation to the wonderful volunteers of the Nantucket Cottage Hospital Pediatric Patient & Family Advisory Council who provided the drive and energy to make this wonderful event a reality! 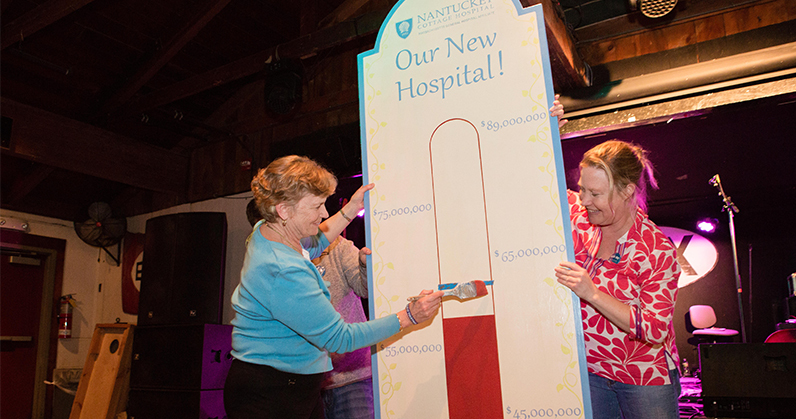 We would also like to thank the Community Foundation for Nantucket and the William H. Frist, M.D. Fund for their generous support of today’s program. Watch Nantucket Cottage Hospital public information officer Jason Graziadei and Brenda Johnson, clinical program director for the new hospital project, present the Food For Thought lecture “The Future of Nantucket Cottage Hospital” at the Nantucket Historical Association on Thursday, March 10, 2016. Few people are better acquainted with Nantucket Cottage Hospital from a patient’s perspective than island tile-layer and fisherman David Goodman. 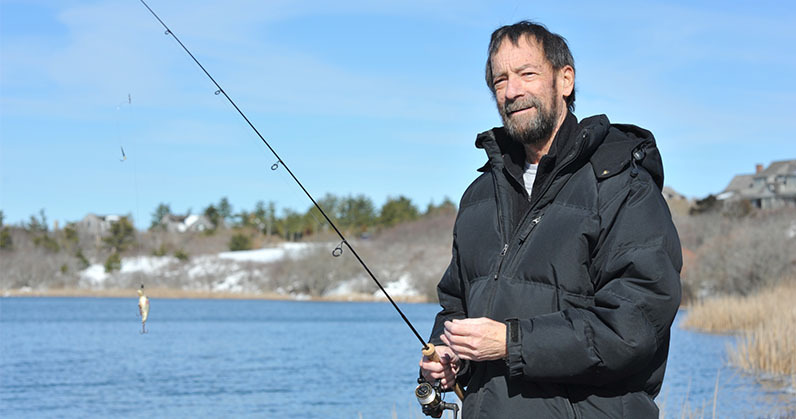 Over his many years on the island, Goodman has been a patient in the Emergency Department after a cerebral hemorrhage. He’s stayed for a week on the inpatient floor suffering from liver disease. And he’s utilized the hospital’s outpatient rehabilitation services frequently for his recoveries, as well as countless visits to Dr. Tim Lepore’s primary care office.